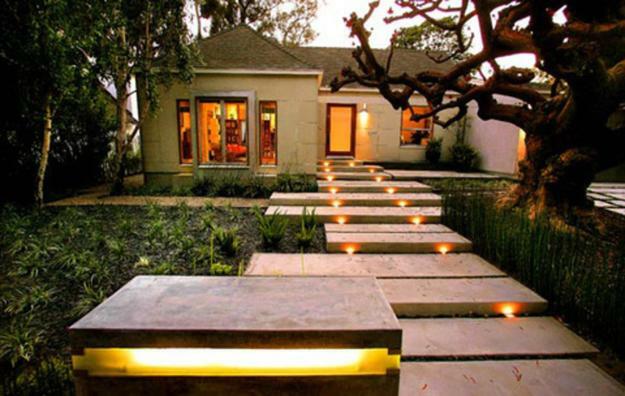 Outdoor lights are a functional and beautiful addition to safe home decorating. 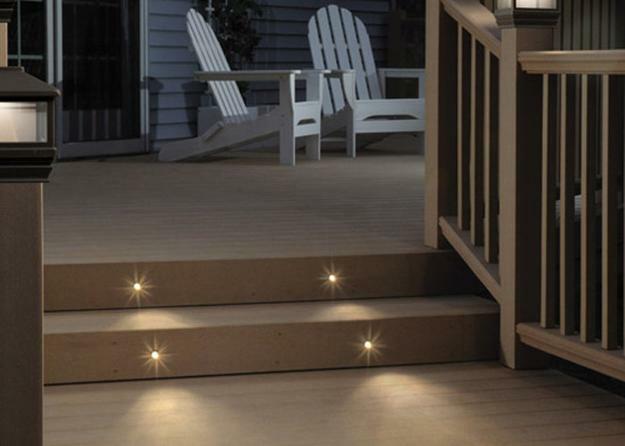 Elegant, alluring, and modern lighting ideas transform yard landscaping, brighten up outdoor stairs and add gorgeous accents to garden design. 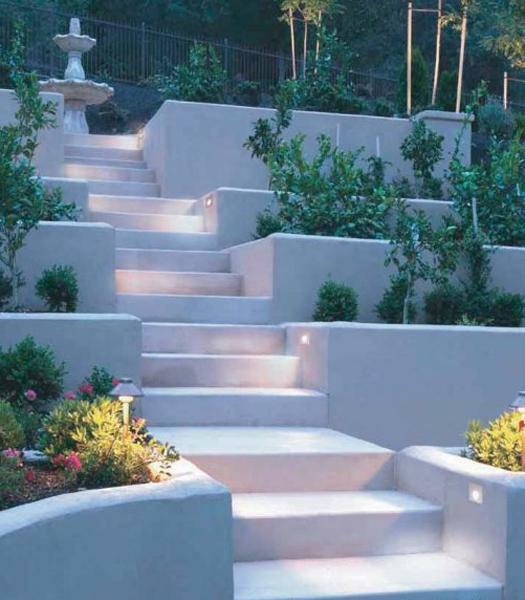 Lushome shares inspirations for accentuating outdoor stairs with creative outdoor lighting designs that improve yards and gardens, and create attractive outdoor living spaces. The best lighting ideas are individual for every home design and depend on your house style and yard size, your lifestyle, needs, and tastes. 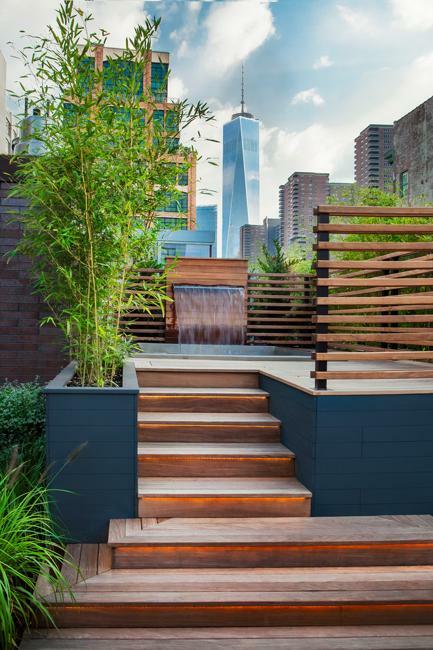 Functional and original lighting designs for outdoors help create beautiful spaces for dining and play, rest and entertaining. 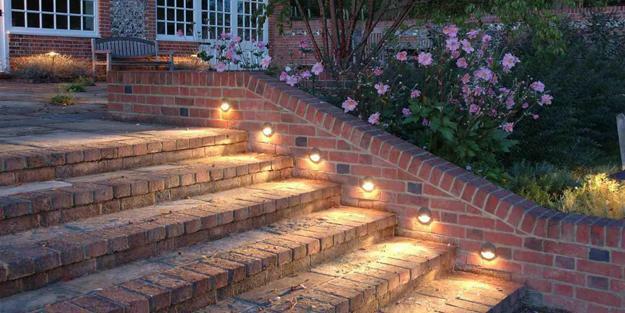 Outdoor lights add a fascinating look to the garden design and beautifully brighten up pathways and outdoor stairs. 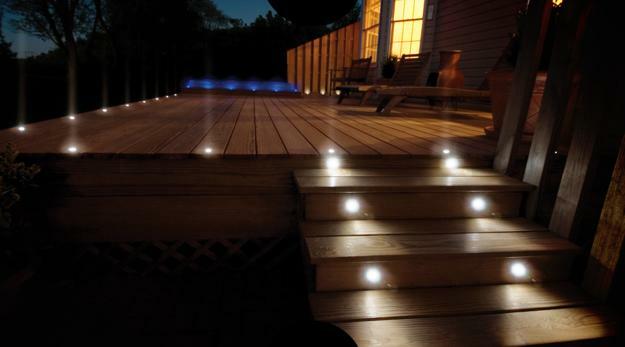 Bright light or softly glow create different effects while transforming outdoor living spaces. 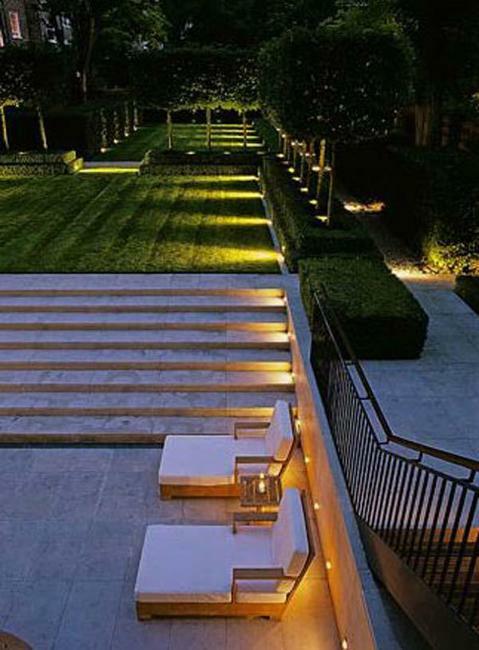 Modern lighting designs romanticize gardens and enhance all pleasant experiences people enjoy outdoors. 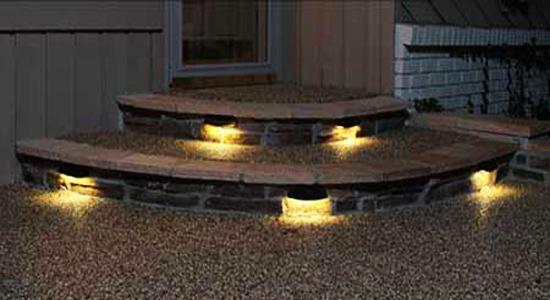 Creative lighting ideas personalize yards and front doors, make the walkways and stairs safe and add charming details to the yards. Beautiful, modern lamps help set the mood for outdoor dining, accentuate swimming pools, turn gardens into gorgeous places, and bring more joy into life. 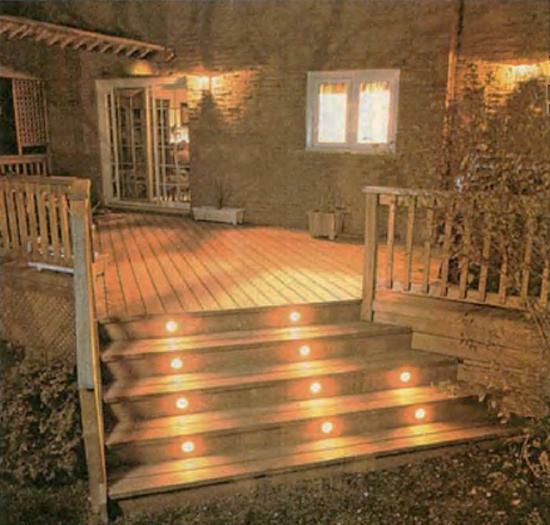 Innovative and original lights add interest to yard landscaping and beautifully integrate outdoor stairs into spectacular outdoors. 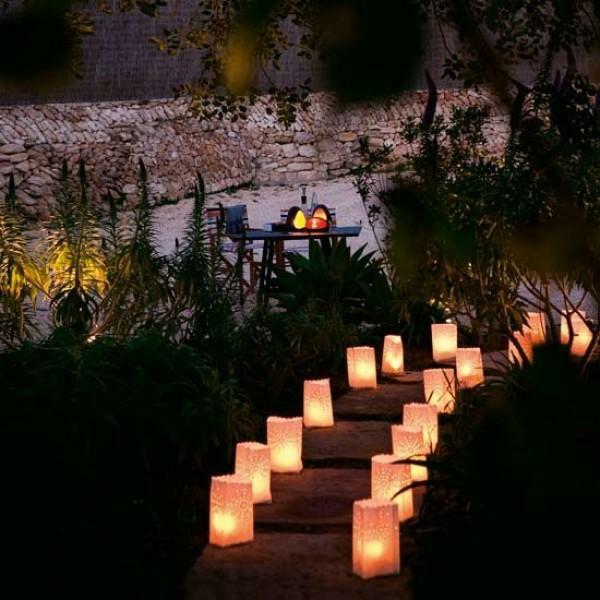 Creative lighting design makes romantic dinners feel even more very special. 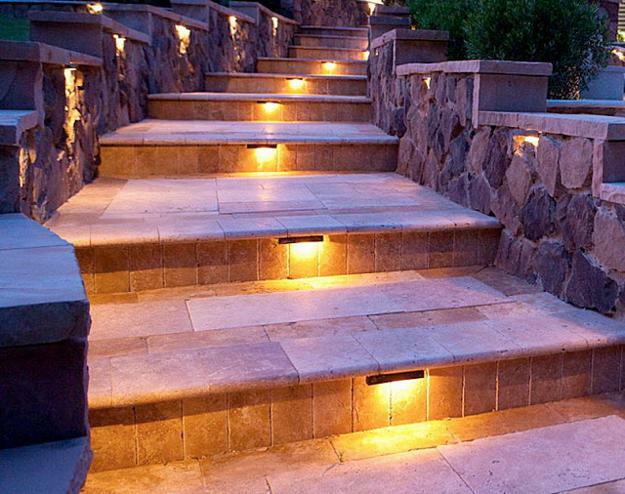 Lighting ideas for your backyard and patio stairs bring benefits such as adding style to your outdoor living spaces, enhance the beauty of garden design, accentuate outdoor stairs, add safety and security to homes. 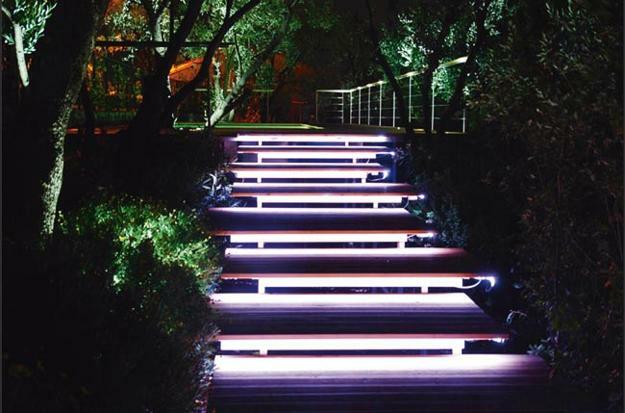 Innovative, contemporary lighting make walks more comfortable at night and add a romantic flare to evenings in the garden encouraging people to enjoy outdoors more often. 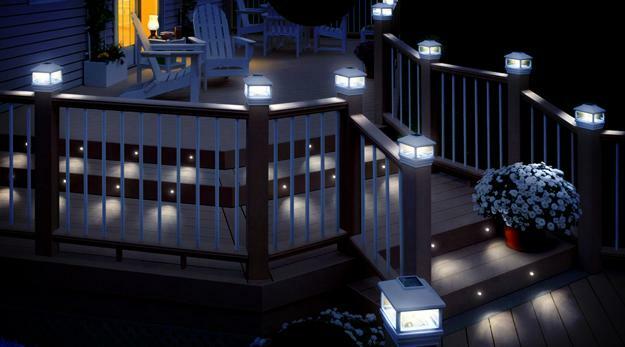 Beautiful outdoor lights extend your outside play into the night, add elegant style and a charming look to your yard landscaping. 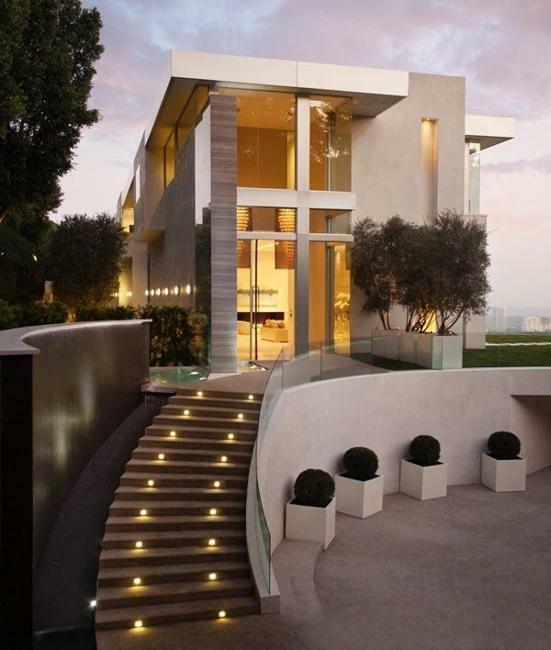 Modern lamps accentuate garden designs and stretch home interiors connecting them with nature. 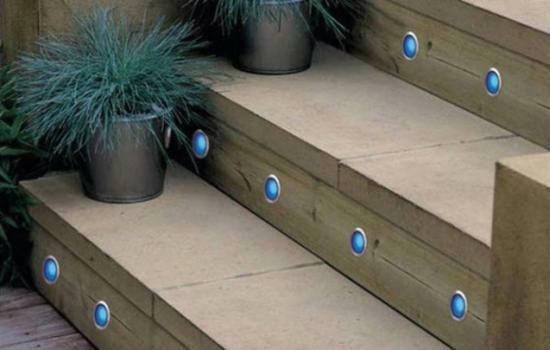 Mysteriously glowing outdoor lights brighten up paths, keep stairs illuminated, and make visitors in your garden feel safe and comfortable. Functional and decorative lamps create an ambiance of welcoming, warm, and expensive homes. 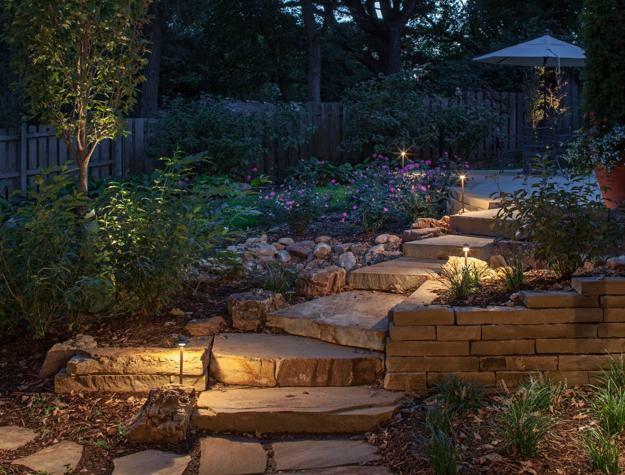 Outdoor lights illuminate beautiful focal points of yard landscaping and blend terraces and flat areas into gorgeous, open, safe, and inviting outdoor spaces. 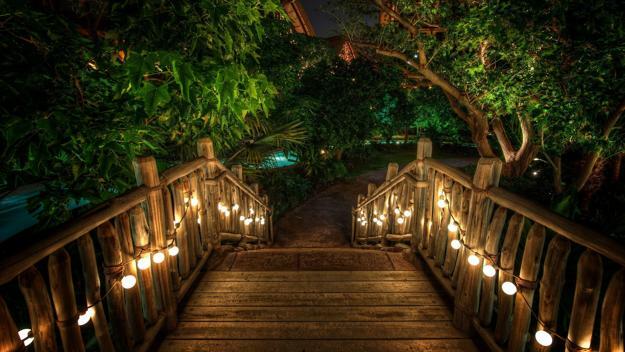 You can choose light fixtures that sit flush with your staircase surfaces or use garlands and lanterns for romantic outdoor decor. 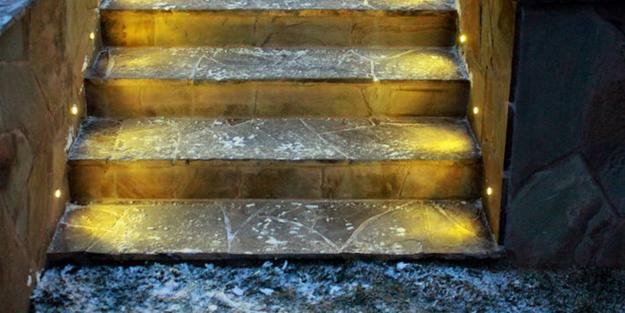 Outdoor stairs with lamps look fabulous and help illuminate the path to a patio, swimming pool or gazebo making it easy to walk in your garden. 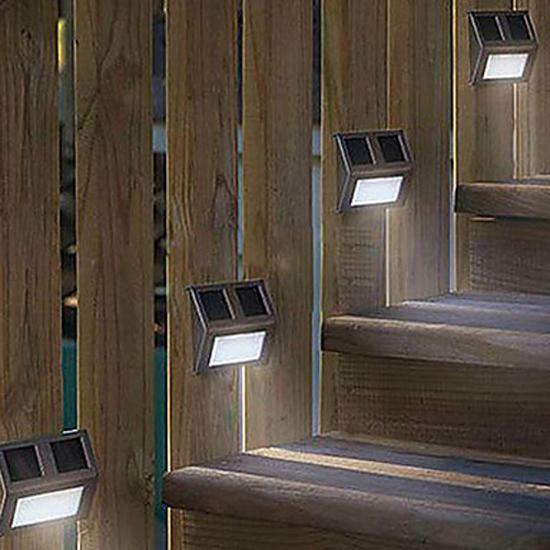 Contemporary design turns the stairs into a glowing feature that make a statement and give character to your home.